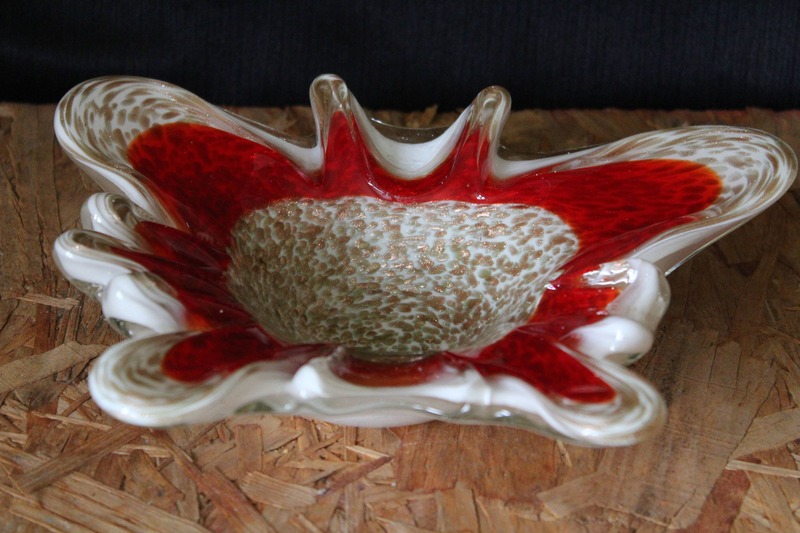 Beautiful Murano art glass centerpiece bowl. 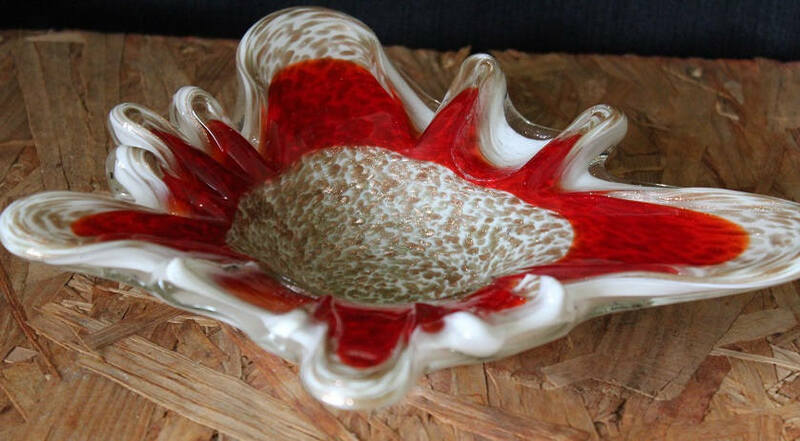 It features an orange, red, white and copper-gold biomorphic flower shape. 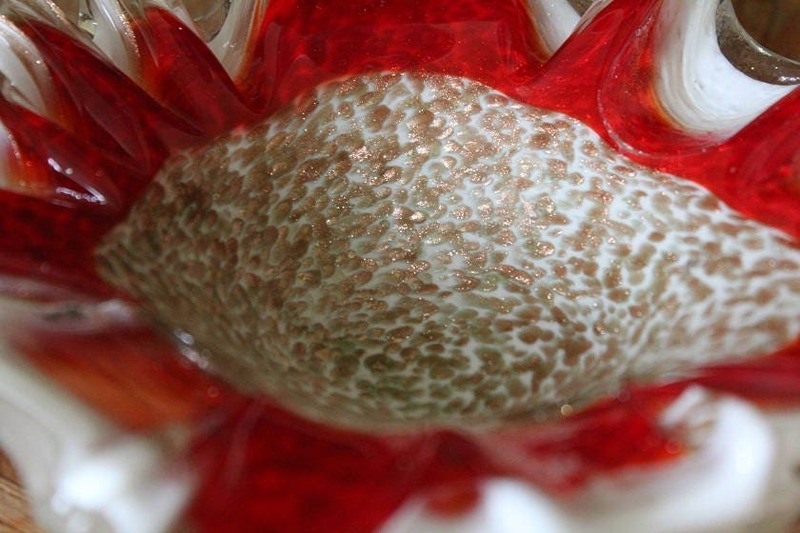 Copper-gold specks accent the center of the bowl. The underside of the piece is an overall solid white color. A great piece of modern flair for that WOW! factor.